Veteran boy band Super Junior dominated iTunes albums charts in Asia and the Americas with the new EP One More Time. 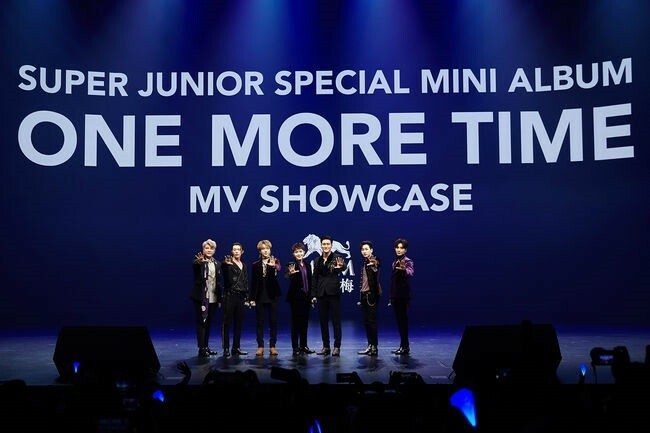 The group’s new mini-album, featuring the Latin-tinged title track “One More Chance”, reached the top of the albums charts in 26 countries after its release on Monday, including Mexico, Argentina, Chile, Thailand, Indonesia and Vietnam. During Monday’s showcase at the MGM Theater in Macau, the first dynamic theater in Asia, the group greeted fans and the media in Korean, English and Chinese and performed a short set consisting of hit singles “Sorry, Sorry” and “Black Suit”. The group also premiered its new song “One More Time (Otra Vez)” as the audience went wild. The event was covered by over 40 media outlets across Asia, including Apple Daily, Cable TV and TVB, reaffirming the group’s popularity in the region.